Someone was bicycling down Storrow Drive recently at 11:30 pm without wearing any bright or reflective gear. I have to admit that I have ridden my bicycle down Storrow Drive westbound -- twice. I did so during daylight (not 11:30 pm), always with bright clothing (not dark blue), wearing a helmet, bicycling with traffic (not against it), etc. Storrow Drive has no postings prohibiting bicycles, so they are therefore allowed. Why would I do something so crazy as to ride on Storrow Drive? I did it in the Esplanade section during massive daytime, weekend events, like something-or-other "Walk For [Against] Hunger." Otherwise I would've had to walk my bike through wall-to-wall people along the Esplanade, whacking people the whole way with my tires and handlebars. I hopped back onto the Paul Dudley White Bikepath somewhere near to the Harvard Bridge (i.e., Mass Ave). Storrow Drive traffic was so slow due to the events (especially with all the cars parked along the right-hand-side) that it wasn't dangerous at all. Riding Soldiers Field Road west of the Eliot Bridge, and Memorial Drive (or Greenough Boulevard) all along the Charles are actually quite nice rides. Wide lanes, smooth surfaces, great for doing "time trial"-like training in the City. But don't try Nonantum Road eastbound... potholes the size of beavers line the right-hand lane. And I once saw a beaver along the side of the road there, where it approaches Brook Street, though he wasn't trying to build a dam in one of the potholes. In an opinion piece in this week's A-B TAB, Mark Trachtenberg places odds on the seven candidates for this fall's election for the open Allston-Brighton District City Council seat. The article is quite a fun read, not just the guide to betting. Here's a toast to Allston-Brighton's newest economic development project: Casino Trachtenberg! It’s rather surprising that somebody as “plugged in” as Tim Schofield wouldn’t have studied Felix Arroyo’s proposal to tame the BRA, an agency that can be quite a rogue elephant sometimes. His lawn signs are quite an impressive display, but lawn signs don’t vote, as At-Large City Councilor Steve Murphy found out the hard way when he lost to Andrea Cabral when he ran against her for Suffolk County sheriff in 2004. [While Glennon] pretty much ran [State Rep.] Golden’s office when Golden was doing his U.S. Army Reserve duty in Iraq, [he] gets viewed by many “progressive” activists as the enemy because he’s a devout Catholic and has trouble dealing with sexual politics issues such as abortion and gay marriage which the city of Boston has virtually no jurisdiction over anyway. While Rosie Hanlon readily agreed to provide the BAIA with a list of businesses in Brighton which do not sell any alcoholic beverages and thus qualify to be promoted free of charge to incoming college students as part of the BAIA’s planned alcohol-free entertainment marketing drive this coming Labor Day weekend, she also has supported various bar and restaurant owners in their applications to expand and/or extend their hours of operation. If you’re in the mood for a hard-core protest candidate... Alex Selvig would seem to be your best bet... Alex Selvig’s core message may be exactly what many voters in Allston-Brighton want to hear from their next city councilor, so if he can raise enough money and avoid making any “rookie mistakes,” he could be in a position to pull off the upset of the millennium. [Trachtenberg's] advice to Jenner: do the best you can in your campaign for City Council this year, go to night school to finish your college degree, volunteer for as many neighborhood organizations as you can, and come back the next time a seat opens up. Rosie Hanlon asked, ”Have you seen Mark Alford anywhere?” Well, I [Trachtenberg] haven’t, and, at that time, neither has virtually anybody else in local politics since the campaign began. Well, I have seen Alford at a few meetings, including some that I ran, and I can tell you he usually sits in the back row. But then again... I didn't remember seeing Trachtenberg at those meetings. Maybe they are the Jekyll/Hyde of Allston-Brighton? 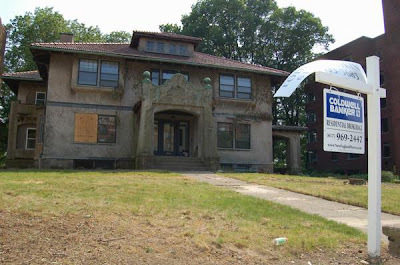 Sunday, July 1, 3:00 pm: The tour will begin from the front of the Brighton Branch Library at 40 Academy Hill Road. It will take in the historical high points of the Brighton Center area. It should last about 90 minutes. The tour is free and all are cordially invited. 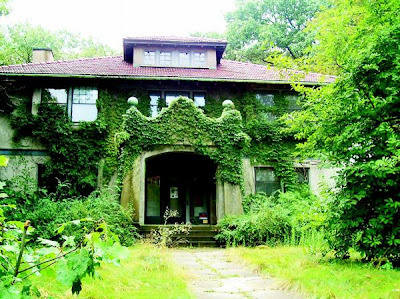 Saturday, July 7, 10am - 4pm: Allston-Brighton Garden and Horticultural Club Bicentennial Garden Tour. Tickets at Minihane's Flower Shop and Amanda's Flower Shop, or call Wilma Wetterstrom 617-787-9844. Saturday, July 7, 7:00 pm: Brighton-Allston Bicentennial Concert at City Hall Plaza, free concert by the Drifters and the Tokens. Contact Theresa Hynes for more information 617-782-1718. One would think the T would order new trains that fit on the tracks it currently had rather than buy the trains, discover that someone couldn't measure, and then replace all the tracks! At least that is how I understand the problem. Well, the T has recently been shutting the D Line down every weekend to cut down all the trees at all the stations (at least from Resevoir to Fenway). You can especially notice the difference at Reservoir (where we used to have a mini forest on the inbound side of the station) and at Brookline Village where a whole hill of trees was chopped down leaving a whole hill of stumps. A local blogger, Adam Gaffin (adamg) of "Universal Hub", has arranged for a written question-and-answer with Suffolk County District Attorney Dan Conley. People have submitted questions already, and he has whittled it down to ten. Vote for your top five; the top five questions go to the DA. Conley will have a week to answer those five questions. No, I did not submit any questions to Gaffin's project. But I did vote. Update (6/30/07): Journalist and commentator on the media, Dan Kennedy of Northeastern University (and blog MediaNation), refers to this process of voting on the questions as "crowdsourcing." I've never heard the term before, and the poor wikipedia entry doesn't seem entirely applicable. A neat word to watch, though. The June 19, 2007 meeting of the BRA's Boston College Task Force was a lively, noisy, and, at times, unruly sideshow. While I previously reported on the substantive material presented as part of the unannounced agenda -- and also on a past police log incident apparently related to the individual who caused a disturbance late in the meeting -- there was more going on in the meeting than has been reported to date. After Mark Alford objected to the meeting being held on account of the failure to provide advance, public notice of the agenda, Patrick Galvin levied a general accusation that -- here, I'm guessing on a few of the details because it was hard to hear clearly over the air conditioners -- one or more members of the BC Task Force had accepted "gratuities" in the past from BC. No specifics were given as to the individuals or the gratuities, although I heard somebody, I believe, mention something like, "tickets for athletics events." Now, normally I wouldn't post an unsubstantiated accusation like that on the blog, except that task force member John Bruno later responded with some specifics. First, Bruno admitted that he had, in the past, received some tickets to BC games (like hockey) which he had then handed out to youth players when they showed up to practice and/or games. These kids thus got to attend a college athletics game. He expressed the opinion that this was a pretty good thing, and it's hard to argue with him on that; BC even touts such giveaways as part of their community benefits. It is unclear if these youth ticket giveaways were the gratuities implied by Patrick Galvin's comments, or if Galvin meant something else, since I believe Galvin had let the room by the time that Bruno made these comments. I must say that I was personally surprised to hear a member of the BC Task Force acknowledge that he is the recipient of $35,000-$40,000 per year from the very institution whose master plan he is supposed to be studying, discussing, and eventually voting up or down to recommend to the BRA for approval or disapproval. I also find it rather odd that the A-B TAB's article fails to mention this admission by Bruno, although their reporter appears to have been present both at the beginning of the meeting (for Alford's and Galvin's comments) and the end of the meeting (for the ejection/scuffle with Costello). Strangely, they reported the unsubstantiated allegations of "gratuities" without reporting the response later in the meeting. What do you think about all this? I welcome comments to this post -- as I do to all posts -- but the comments cannot be anonymous (or offensive), and I note that they are moderated. Suggested Donation- $25, $50, $100, $250. Please join us to kick-off my campaign to represent Allston-Brighton on the Boston City Council. The event is this Thursday, June 28, 2007 from 6:30PM-8:30PM at the Green Briar, 304 Washington Street, Brighton. No donations required. The 2005 agreement between the U.S. Justice Department's voting rights division and the City of Boston Elections Department required the City to print ballots in Chinese, including both Cantonese and Mandarin dialects. The problem, according to Secretary of State Stick Mosquito, is that proper nouns are usually translated into Chinese using Chinese words or characters that are phonetically similar to the sounds of the names, according to today's edition of the Boston Globe. Many candidates' names are then transliterated to sound like good, unfavorable, or nonsensical strings of words in Chinese, according to Secretary High Prominent Noble Educated, who has taken oversight of the City's elections department after embarrassing events of the 2006 election. Secretary Stick Mosquito wants to keep Mayor Barbarian Mud No Mind of His Own off of the ballot, instead inserting the boring the name of Mayor Thomas Menino in its place. Secretary Stick Mosquito also wants to avoid having Mayor Imbecile or Mayor Sun Moon Rainbow Farmer on the ballot, as well as Former Governor Uncooked Rice Sunny Nun of Massachusetts and/or Utah, Senator Whole Boundary Oh Bus Horse of Illinois, and Former Senator Virtue Soup of Tennessee. According to Glenn Magpantay, whose name I cannot determine as being romanized or transliterated Chinese, these kinds of transliterations into Chinese have worked well in other big cities with large Asian populations, like New York, San Francisco, and Los Angeles. This "success" is quite apparent, since all have Chinese-Americans serving as Mayor. Outgoing Harvard President Derek Bok has released his June 2007 President's Report to the Board of Overseers (covering the 2006-7 school year). It was also published in hardcopy form as an insert to the most recent issue of the Harvard Gazette. Work on developing Allston has also gone forward on schedule. In December, the University filed a master plan to describe how the property might be developed over the next 50 years. Under the direction of Stefan Benisch, architectural drawings for the first complex of science buildings are nearing completion so that construction can begin within the year. Architectural plans are also underway for extensively renovating a large building in Allston that will house the University’s art collection during the long-awaited renovation of the Fogg Museum and then provide permanent space for Museum staff and for galleries dedicated to modern and contemporary art. ..."renovating a large building in Allston that will house the University’s art collection." For those who have been paying attention in the last six months, Harvard is currently still on record with a proposal to put their art storage/museum in a new building at Barry's Corner. In December 2006 they discarded their April 2006 plan to renovate a large building in North Brighton (not technically North Allston) in favor of the Barry's Corner idea. Has Harvard's President just served notice to the community that they are returning to their April 2006 building renovation plan for the art storage/museum facility, abandoning the December 2006 Barry's Corner plan? I have heard a number of people say that President Bok has been generally uninvolved in the Allston Campus project, at least in comparison to former President Larry Summers. My guess is that Bok used old information when writing his June 2007 report, and just hasn't been paying much attention to the Allston Campus this past year. Have you read the latest report that I left on your desk about Harvard's 50-year master plan for its Allston Campus? We wrote a version of it as an Executive Summary (draft), so that it wouldn't take you much time to scan through it. Did you read through all the other stacks of documents I keep leaving with your secretary? Or are you just piling them in that corner of your office under the sign labelled, "Drew"? We want the art museum to go into Barry's Corner in a big new building close to neighborhood houses, not an empty, mothballed, existing building further west. It's important to leave those empty buildings empty. The empty buildings have a very important purpose called the "interim use plan." Very, very important. The Allston Campus is a focused development: focused on being, well, a little bit of everything. Originally, we thought it would be a "science campus," but other people had other ideas, like professional schools, cultural activities, or housing. So we decided to define "science campus" as including systems biology, chemical biology, bio-inspired engineering, innovative computing, public health, education, athletics, business, art museum, performing arts, undergraduate housing, and graduate housing. Just don't say "science campus" anymore -- it's so 2002. Or, if you do, be expansive in your definition. "No significant impact" on the neighborhood. Approximately 1000 employees will be moved into North Allston to work at the Science Complex, but we'll be reducing traffic, not increasing it. Read our traffic study. Or just repeat: "No significant impact." I'll get you a bumper sticker for your car, or we can have someone paint the phrase on the back of your car. Please read this memo, as well as those other documents in the corner. It's important that we avoid misunderstandings like that in your 2007 President's Report. [ATL_eagle:] Despite being a high-profile member of the Boston Sports Media, Dan Shaughnessy is rarely on the BC fan radar. It wasn't until I found out that he was writing a book about his son (current BC Baseball player Sam Shaughnessy) that I pursued him for this interview. ATL_eagle: You mentioned big-time football and big-time basketball…BC is obviously trying to upgrade its baseball program and facilities. And that’s been a hot button with the Brighton residents. You’re a long-time Newton resident. From a BC grad and BC student perspective it seems like we have the worst town-gown relationships in Boston. Harvard, Northeastern and BU can kind of do what they want without objection. Why do you think BC gets so much antagonism from Brighton and Newton and the locals, especially something like the new baseball stadium which wouldn’t be that big of an impact in the neighborhood? DS: I’d quarrel with the distinction that BC gets a hard time. I think the people at Harvard would certainly say they get a hard time. But I also think that BC is bordering communities where people have money and they have means and they have voice and they have clout. It’s a little different if you’re bordering Chestnut Hill, Brookline, Newton as opposed to bordering Alston, where perhaps the constituency is not as loud and powerful. And [Alston] is more transient. Those factors go into it. It doesn’t surprise me what BC goes through. A lot of people have been living in these regions a long time. When the school expands, you’re going to get that. The owner of 1954 Comm Ave has chopped down all the beautiful trees on his property during the past week. I saw many of the stumps on Sunday morning, and it looked awful. You might think this to be the owner's right, but it apparently isn't, according to reporting by the A-B TAB: since the property is protected with a deed restriction and has landmark status within the Aberdeen Architectural Conservation District, he needed prior approval. This is the owner who has applied first to demolishing the house to build a large development, then to move the house to another location. He was rejected both times. He has listed the property with a real estate agent among "commercial" or "land" properties, not residential. James Jenner now has a blog up and running (using the free blogger.com site! ), as well as a website, as part of his candidacy for the open Allston-Brighton District City Council seat. 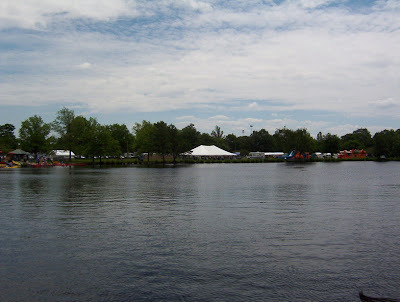 Last Saturday was the Brighton-Allston Bicentennial's Riverfest at Herter Park along the Charles River. Event co-chairs Catherine McGarty and Tim Schofield put on a great event with lots of activities oriented towards families. Many, many volunteers contributed their time, too, so that the event seemed to happen without a hitch. 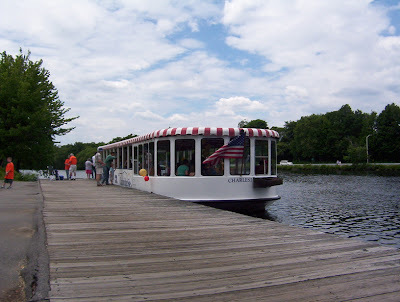 Many adults quickly figured out that this boat was the only place in the event that had a (cash) bar. There were more things going on at Tuesday night's meeting of the BC Task Force than just talking about BC's upcoming master plan. One member of the public, Steve Costello, who identified himself as a founding member of the Boston College Task Force, spoke loudly throughout the meeting, calling the BRA evil and referring to the task force as corrupt. The man’s behavior angered residents, and when residents questioned who he was, he became belligerent and was asked to take a seat. When he refused, a member of the task force began to contact the police, at which point a scuffle ensued outside the meeting room and the man was ejected. Police responded to a call for a domestic violence dispute and assault at 120 Lake St. in Brighton around 5:30 p.m. last Saturday. According to the victim, his brother, 45-year-old Stephen J. Costello, became aggressive during a domestic dispute. Costello allegedly spit in the victim's face and proceeded to hold a kitchen knife to the victim's throat threatening to stab him. The victim reportedly wrestled the knife from Costello, and immediately called the police. The victim also told officers Costello has a substance abuse problem. Costello admitted brandishing the knife, but denied holding it to the victim's throat. Police arrested Costello and informed the victim of his rights under the Family Abuse Law. At the BRA's BC Task Force Meeting last night (June 19, 2007), Boston College officials described the land purchase of the remaining St. John's Seminary land (and all but one building). Boston College will not file their Institutional Master Plan Notification Form (IMPNF) until late August or early September 2007, according to Thomas Keady, Jr., BC VP for Government and Community Affairs. The delay is due to the Archdiocese recently exercising their sale option on most of the remainder of the St. John's Seminary land; while this was expected to happen eventually, the timing appears to have been more rapid than anticipated. The sale is currently slated to be completed around late August, according to Jeanne Levesque of BC's Office of Government and Community Affairs. St. John's Hall: remain as property owned and operated by St. John's Seminary, although its form of ownership will be re-classified as confdominium unit(s). BC will own the land under and around St. John's Hall, while the Seminary will own the building itself. BC and the Seminary will jointly run a kitchen. St. John's Hall has four floors plus a basement level. St. John's Seminary will receive an exclusive easement for parking and access to St. John's Hall. They currently have approximately 40 parking spaces; there was no indication of the number of spaces to be included in the deal. Bishop Peterson Hall will convert to BC ownership and use for offices/classrooms of the Weston Jesuit School of Theology. There will be no residential uses for the building. These offices/classrooms for WJST were originally slated for St. Williams Hall (which BC already owns). St. Williams Hall will now be used for academic, administrative, and/or business offices. It sounds like More Hall offices, for example, will now be moved to St. Williams Hall to free up the More Hall site for a new development. St. John's Library will be used jointly between BC and the Seminary; WJST will relocate their library collection into this building. Chancery will remain administative offices for Archdiocese for one year after BC purchases the property, prior to the Archdiocese's move to Braintree. BC's long-range plan shows that the Chancery will eventually be razed to make way for new buildings (e.g., academic) and their new access road into the campus. Ditto for the Creigh Library, as best as I could tell. Parking garage (?) and parking uses will remain for the time being. Jeanne Levesque also announced that they would have a master plan website go public on July 16, 2007. Tom Keady said that the IMPNF and IMP would be made available on their website. Gerald Autler of the BRA said that BC Task Force meeting minutes will eventually be made available on the BC website; he planned on sending them out electronically to "everyone on his list" in the meantime. "We know BC task force meetings can generate a lot of anger, but last night’s apparently took the cake is word on the street –at least as far as the amount of yelling and screaming it generated. One person apparently even felt the need to call the cops. We’ll have a story later." No sickening smack yet, but it's probably just around the corner: St. Elizabeth's Medical Center has conducted their formal, photo-op ground-breaking for the site of their new Emergency Room. No excavation yet while they still do site preparation. Fences have been seen blocking off access to the hillside site. Few in the neighborhood doubted the need for St. Elizabeth's to update their aging ER facility. Vasiliades wanted the hospital to grant a permanent easement on the land behind the campus abutting the future new access road, in order to prevent any future development there. Thneeds 1, Brown Bar-ba-loots 0. This morning at about 12:09am, officers from District 14 responded to a larceny report at 1925 Commonwealth Avenue. Upon arrival, officer spoke with the victim who stated that while walking home on Chestnut Hill Avenue she was assaulted and robbed by two unknown black males (mid 20's med build, suspect #1 red shirt blue jeans, suspect #2 white shirt blue jeans). The victim stated that she approached by the two suspects at the corner of Chestnut Hill Avenue and Stratmore [sic] Road. Victim states that suspect #1 punched her in her face while the other suspect #2 ripped her handbag from her hand and fled on foot down Stratmore [sic] Road toward Commonwealth Av. At this time, the victim ran to an apartment at 1925 Commonwealth Avenue were she called 911. The descriptions of the suspects were broadcasted. Victim reports that her I Pod and other important documents were inside her bag. Officer observed victim with a swollen lip but she declined medical attention. Officer searched the area to no avail. The MetroWest Daily News published an op-ed about BC expansion plans and the latest property sale by the Archdiocese. Of course, there was a time when discipline at Boston College was so tight that it wouldn't have made much of a difference. Older alumni can still remember a code of conduct with such strict Jesuit discipline that it even involved appearance. Male students came to class wearing a shirt, tie, and suit jacket. The no-nonsense culture of campus life demanded respect that extended not only to each other but to area residents and private property. In those days, it is doubtful that neighbors would have raised much of a fuss about an extended campus. Things have changed. Now the best that B.C. seems capable of doing is to support a Neighborhood Center which provides services to the community. It's an attempt at bandaging relationships, but doesn't come anywhere close to resolving neighborhood concerns over sleepless nights because of rowdy students, late-night parties and disrespectful behavior. The good old days, I guess, for those long-term residents who can still remember them. The Allston-Brighton TAB has published a substantial piece on the Open Meeting Law issue and the BRA institutional task forces. It's nice to see extensive reporting like this in the local paper! The TAB article quotes Ray Mellone, chair of the Harvard Allston Task Force, as still planning on holding private meetings as a periodic part of that task force's metings. It also quotes Jean Woods, chair of the Boston College Task Force, as confirming both that a private Executive Committee meeting had occurred recently and that private meetings were an integral part of BC Task Force operation. There are obviously some legal arguments to be sorted out, since both the DA's office and the anonymous, third-party attorney quoted in the TAB article have cited case law in support of their opposing conclusions. It'll be interesting to watch how this all plays out. When the issue came up on Monday, it sure did cause a lot of strong emotions to be expressed. The Boston Globe reports that the Rev. John Farren, a Dominican friar who resigned May 24 as head of St. John's Seminary, has written a letter to Sean Cardinal O'Malley objecting to the sale of most of the remaining seminary land to Boston College. It seems to be pitting at least one prominent, conservative Catholic against the more liberal Jesuits about to move in. The Rev. John A. Farren... warned in the letters last month that the "doctrinal integrity" of St. John's is at risk because of increased proximity to two Jesuit-run Catholic institutions, Boston College and Weston Jesuit School of Theology, which are expected to move into buildings currently held by the seminary. "A sign of this is found in the fact that several professors of WJST are currently under investigation by the Congregation for the Doctrine of the Faith," [Rev. Farren] wrote, referring to the Vatican agency that investigates theologians accused of doctrinal error. "Several professors at WJST are self- professed gays or lesbians. Collaboration at such an institution is not good policy for St. John's Seminary." Weston Jesuit and Boston College are generally considered liberal institutions open to a wider range of theological views than St. John's. Under Farren's leadership, several members of the seminary faculty perceived as liberal were ousted. Cardinal O'Malley explained the sale on his blog and, in more detail, in a letter to Boston's Catholic newspaper, The Pilot. He has apparently written another letter to Archdiocesan priests in response to Rev. Farren's comments, but it appears not to have been released. 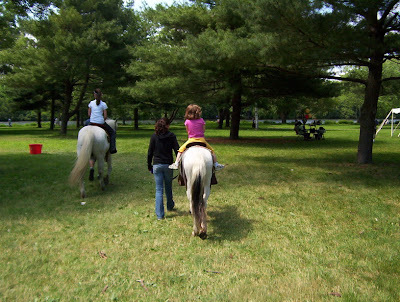 We expect thousands to attend this major outdoor family-friendly event, which will offer fun, food, and festivities for all ages including music, pony rides, face painting, clowns, art exhibits, and boat rides on the Charles River. The River Fair will take place in Herter Park, which hugs the Charles River in Allston-Brighton and includes playgrounds, picnic tables, a theater, and ample free parking. How to find it? Located between the Arsenal Street Bridge and the Eliot Bridge on the south side of the Charles River. Direct access from North Brighton/Allston via Everett Street. 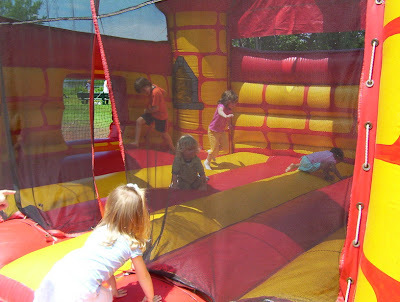 Children’s Activities 10 a.m.-4 p.m.
10 a.m.-4 p.m. — Adult Hi Striker at Children’s Grove. Music Stage 10 a.m.-6 p.m.
5:15-6 p.m. — Sinha Capoeira. Volunteers are needed. Please call Tim Schofield at 617-557-4545 or Theresa Hynes at 617-782-1718. The Boston Globe ran an article on Friday that the Suffolk County District Attorney's office wrote a letter to the Boston Redevelopment Authority declaring that the BRA's institutional task forces are subject to the Open Meeting Law. As I blogged on Friday, the June 1, 2007 letter by Assistant District Attorney Janis Noble also directed the BRA to instruct the task forces that they were subject to the OML, and agree to conduct future meetings in public. We learned at last night's public meeting of the Harvard Allston Task Force that the BRA intends to do neither. Gerald Autler, Senior Project Manager for the Boston Redevelopment Authority, said that it continues to be the position of the BRA that the institutional task forces are not subject to the OML. He said that he wanted to let the lawyers from the BRA and DA's office sort out the legal issues; in the meantime, however, he would "leave it up to the chair [of the Harvard Allston Task Force] to decide" if they would continue to hold private meetings without public notice or attendance. Strike #1: no instructions to the Harvard Allston Task Force on applicability of the OML. I don't believe he even provided them with copies of the letter, or copies of the OML, or anything like it... he's keeping them in the dark. Ray Mellone, chair of the Harvard Allston Task Force, said that he would continue to hold meetings closed to the public as he saw fit. "I have no reason to suspect that [we] don't have the right to meet in Executive Session... I am not going to say that we are not going to do it again." He even stated that they would meet privately next Monday, June 18, with Harvard representatives... conveniently failing, of course, to tell the public when and where the meeting will take place. Strike #2: the Harvard Allston Task Force will continue to hold private meetings with the developer, Harvard. While Autler and Mellone appeared to want the meeting to end on a positive note, a number of attendees of the meeting voice their concerns and objections over this defiance of the DA's instructions. "District Attorney Daniel Conley is the chief law enforcement officer in this district," said Gregory Glennon, a candidate for Boston City Council and an Assistant District Attorney himself. "To disregard the chief law enforcement officer is outrageous." Allston resident Tommy Lally offered an explanation for why the community wants all the meetings to be open: "It is not that we don't trust you," he said, speaking directly to task force chair Mellone. "There is a lot of mistrust in this room, but it is not directed towards you. [It is] directed towards the BRA and Harvard." A solution was offered by two task force members, who said that they saw no reason that next Monday's meeting couldn't allow public attendance (although without opportunity to comment during the meeting). Their suggestion was brushed aside by Mellone. As Glennon noted, the next step in the process is for the BRA to respond formally to the legal opinion expressed in the letter from the DA's office. Stay tuned. Goldstein Furniture Building Imploded in North Brighton: No Notice Given? A resident brought the issue up that the Goldstein Furniture building, at 156 Lincoln Street in North Brighton, was imploded on Friday, June 8th. Her brother abuts the property, and was not notified in advance of the demolition. Pretty disturbing, if true. I drove past the site on Sunday, and can say that there are large piles of debris all around. Lots and lots of bricks. A big mess. If anybody knows if there was, or wasn't, proper notice and/or permitting for this work, I think a lot of people would like to know. Post comments below here or send email. NOTE (June 13, 2007): some of the details are getting murkier. And the owner seems to claim that everything was properly permitted. Not sure what exactly to believe. First in the Allston-Brighton District City Council race to have a blog: Tim Schofield. Don't get too excited about it: it ain't got no content (yet)... oh, wait, I spoke too soon. He just posted! Boston Globe Letters to the Editor: "Brighton fears thud of BC expansion"
Two letters to the editor of the Boston Globe, written by Maria Guadalupe Rodrigues and Glory Dalton, appeared in this morning's paper under the heading: "Brighton fears thud of BC expansion." The copy editor chose an odd title since the letters comment on non-thud-like sounds which the writers consider disruptive to the community. MY FAMILY has lived in the same house near St. John's Seminary for four generations. This has always been a quiet neighborhood with young families and senior citizens until recently, when we suffered the invasion of so-called well-behaved BC students. Their revelry is not "harmless" when they wake up and frighten young children with their singing "Sweet Caroline." It is not "harmless" when they urinate on your front lawn or try to pry open your front window calling out some unrecognizable girl's name. City Council Campaign Phone Survey: Should Candidates Run Towards, or Away From, the Mayor? I occasionally see quotations, information, and the like from the Brighton Centered blog appear in other places in the media. But this week I saw it appear in a different form: as part of a political phone survey conducted in Allston-Brighton. I got a call last Monday night (June 4) from a market research guy working for Connections Strategies doing a phone survey related to the race for the open Allston-Brighton District City Council seat. Only seven candidates' names were given in the survey: Benjamin Bloomenthal and Paul Creighton were omitted. Several key issues questions in the survey were related to institutional expansion. An interesting question (approximately): Do you want a City Councilor who will work with Mayor Menino and other elected officials, or who will stand up independently despite the consequences? The poll had several questions related to Menino, suggesting that this candidate has some interest in whether to run towards, or away from, the Mayor. Fairly accurate descriptions of each candidate were read, asking for a response. I recognize some of that information as having flowed off of this Brighton Centered blog (or the A-B TAB), since there has been little additional information on all the candidates. My guess right after hanging up the phone, based on no insider knowledge: it was paid for by the Schofield campaign. I only base this on: (1) a few pieces of information for various candidates that were included or excluded (probably intentionally); and (2) he's the candidate with the strongest fund-raising record in previous elections, and hence is most likely to be able to afford this substantial expense particularly this early in the campaign. I won't mention the exact items leading me to the conclusion in #1, and I'll defer to a future posting the campaign finance data which form the basis for #2. I am gratified that at least the information from Brighton Centered did not get used in a push poll. Things could've been worse... And it's a sign that the campaign has not turned negative. The fact that only seven candidates were identified in the poll led me to call up the Boston Elections Department and write about how the other two candidates did not submit sufficient signatures to get onto the ballot. The winnowing of the field from nine to seven had not been reported prior that blog post. What do you think about the Mayor Menino element in this phone survey? Is the Mayor enjoying high popularity ratings in Allston-Brighton? Or have residents grown weary of his long tenure and the perception of him being pro-development? When we see kids riding bicycles without wearing a helmet, we become everyone's mother. Our "Hey, where's your helmet?" cry has been known to turn a few unprotected heads. The good folks at the Franciscan Hospital for Children want to protect noggins, too, and today from 2 to 5 p.m., they will distribute 100 free bicycle helmets on a first-come-first-serve basis to kids from Greater Boston. Bikers ages 5 to 11 will be measured for their headgear and also receive educational safety material. The helmets were donated by the Governor's Highway Safety Bureau. At other times, helmets are available for $5 by appointment. A-B TAB Op-Ed: "Neighbors ‘frustrated,’ ‘exasperated’ over lack of BC response"
The Allston-Brighton TAB published an op-ed, written by me, in their current edition: "Neighbors ‘frustrated,’ ‘exasperated’ over lack of BC response." What caused these emotions? The general feeling that "BC has been unresponsive to community input" in their master planning process to date. I sincerely appreciate the TAB's editorial decision to run the piece, since the audience mood described in my piece contrasts significantly from how the TAB reported the same event. "This is a tipping point," said Michael Pahre, who lives on Foster Street near the property and who blogs about BC's expansion plans. "...it will drive people out of the neighborhood." Sadly, moments after I muttered those words, the group of us met yet another anecdotal example of that broader exodus out of the community. We passed by an elder gentleman working on his car on upper Foster Street. Alex Selvig, switching to campaigning mode, spoke to the man for a few minutes; the man revealed that he had recently decided to sell his house. He lives very close to several houses with off-campus undergraduates from Boston College, and you can only imagine what kind of upheaval it took to bring him to this decision. The Boston Globe reported today on Boston College's expansion plan into the Brighton Campus (former St. John's Seminary land) and the neighbors response to it. One BC proposal is meeting much neighborhood opposition: construction of two or three dormitories containing a total of 600 beds of undergraduate housing in the Brighton Campus. The concern is that undergraduate dormitories so close to neighborhood houses will drive families away. [BC Vice President for Governmental and Community Affairs Thomas] Keady said the college is trying to assure residents it is a good neighbor and is meeting with them regularly to hear and address their concerns. "There's a trust factor here," he said. "But what we don't want is people selling their homes." Neighbors are unconvinced... "It will destroy the neighborhood," [Lake Street resident Alex] Selvig said. "If there are dorms across the street, I don't want to live here." "People said, 'You knew there was a college over there when you moved here,' " said Sandy Furman, who lives on Lane Park. "But we didn't know there was going to be a college over here." "I can time the closing of every saloon in Oak Square from the parade down the street," [said William F. Galvin, secretary of the Commonwealth, who has lived on Lake Street for 25 years]. "This plan would be a disaster for neighbors." Neighbors said they recognize the university's right to develop the property, but insist that academic or administrative buildings are more appropriate for a residential neighborhood. Two of the nine candidates for the open Allston-Brighton District City Council seat have not submitted sufficient signatures in order to appear on the ballot this fall, according to Doug Currie of the Boston Elections Department. Paul Creighton did not submit any signatures, while Benjamin Bloomenthal submitted fewer than the required 139. Withdrawal of Creighton appears to throw a major curve into the election: he got more than 30% of the vote for the seat in 2005 against incumbent Jerry McDermott. Since most of the other candidates live in Brighton, Creighton's withdrawal seems to open up many Allston votes that would have gone to him. This brings the total number of candidates for the seat down to seven. Objections to ballot certification are to be filed by July 3. The Boston Globe ran a story about Brighton's Conservatory Lab Charter School, located on the St. Columbkille's property. Conservatory Lab is the only state-chartered school in Brighton, and includes elementary grades kindergarten (K2) through five. As a charter school it is required to hold a lottery for entrance when the number of applicants exceeds available spaces. Its innovative feature is that every student, beginning in grade one, is given a violin to learn to play. All take daily music classes, two music lessons a week, perform throughout the year, and have music topics integrated into other subjects. An interesting approach to education to say the least, especially in this age of No Child Left Behind and MCAS. Is it working? Yes and no. [Executive Director Jonathan] Rappaport admits, though, that it has been a struggle to raise the MCAS scores of the students... Last year the school finished below the state average in a number of categories. However, it improved from the previous year, prompting the state Department of Education to say the school had achieved "adequate yearly progress" in math and English language arts. Rappaport says he expects further improvement this year. The school's MCAS scores can be found online for 2006 and compared with Boston Public Schools and state-wide averages, as he noted. Here I'll pick out the CPI for comparison. The Composite Performance Index (0-100 with 100 being highest) is the degree to which students are progessing toward proficiency. MCAS starts with grade 3. In grade 3 reading/math the school scores 82/65 compared with a BPS average of 66/63 and state average of 83/78. In grade 4 the school scores in ELA/Math at 76/70 compared to 62/62 for BPS and 79/73 for the state. In grade 5 the school scores in ELA/Math/Science at 70/45/52 compared to 69/57/57 for BPS and 84/70/78 for the state. The school is therefore performing around the state average for half the indicators, and below the state average for the other half; grade 5 is below the state for all three tests. Comparison with BPS is more fair, though, because it is always a problem to compare urban with suburban or rural schools. The school is performing at or above the BPS average for all tests except for grade 5 math. A mixed bag. As a state-chartered school, it has performance metrics to meet as part of its regular review: a five-year accountability plan (MS Word document). As the school moves forward, it will be interesting to see if this experiment in music-based education can beat its competition in Boston and Massachusetts.